Smock Custom Wedding + Social Occasions - Smock. 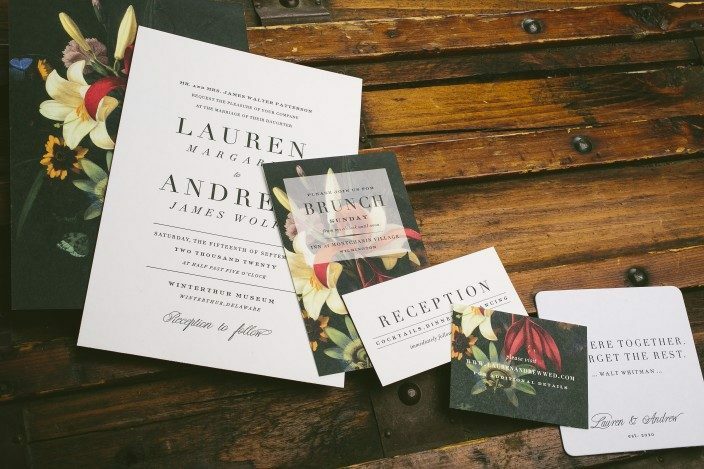 Sneak peek: new wedding invitation designs will be here soon! 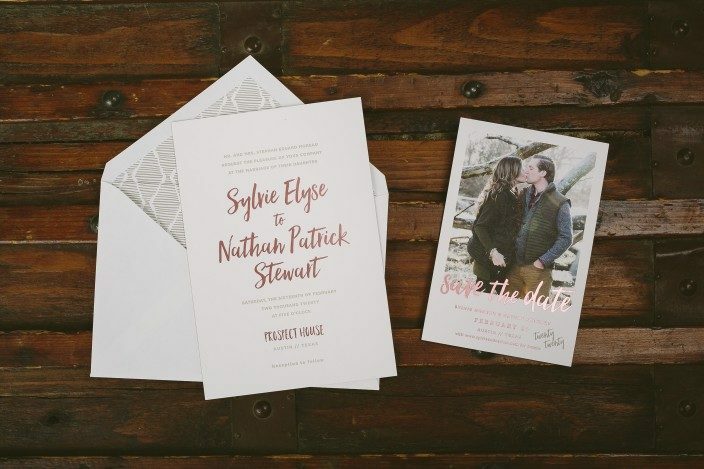 We introduced our newest wedding album at the National Stationery Show earlier this month, and we can’t wait for you to see the new designs! 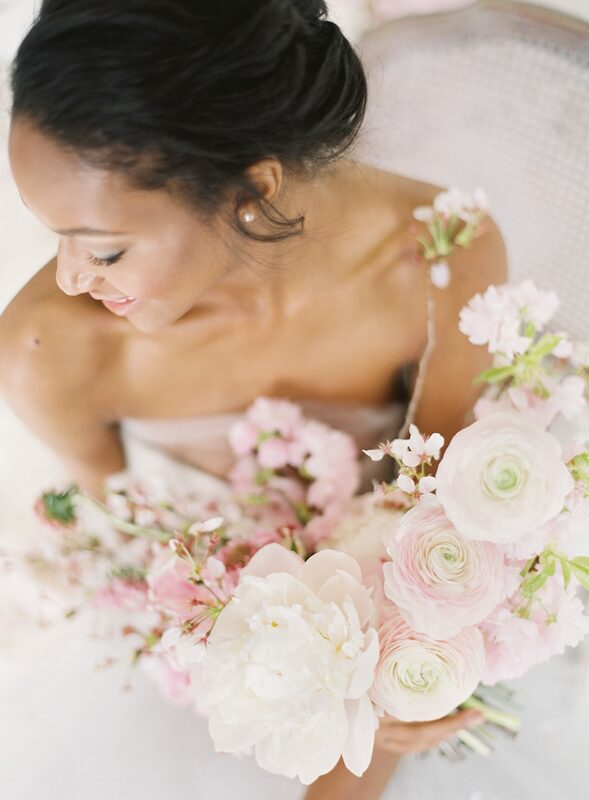 The album features 12 wedding invitation suites with styles ranging from modern to vintage to traditional. New fonts, patterns, and colors can be found throughout the new suites, which will be available in stores this summer. Take a look at some of our new favorites! 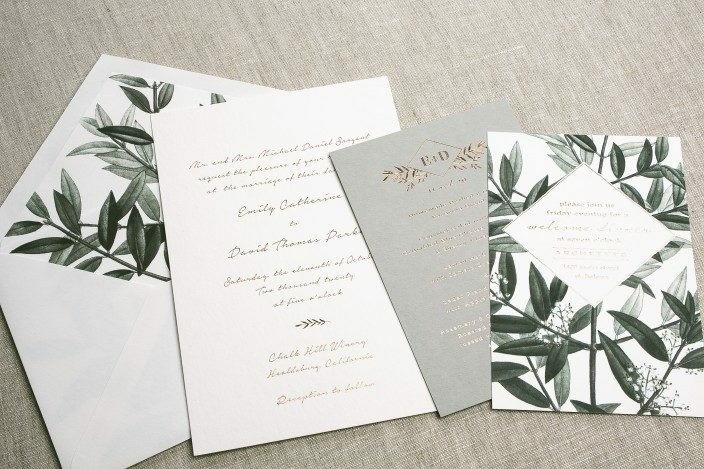 Above: our new Linden suite features bronze shine foil stamping on our white bamboo paper and a leafy vintage print pattern. The foil stamped menus are printed on our 100% recycled gray paper and complement the suite beautifully! The new Prospect suite features another new foil color: quartz! Darker than our rose gold foil, quartz has some seriously pink shine, and pairs perfectly with our jute ink. The vintage prints used on our modern Exeter suite are stunning – we love the classic black letterpress printing combined with the dramatic Dutch painting look of the patterns. Last but not least, show-stopper Lennon draws on some of our favorite trends: painterly patterns, modern script fonts, and the perfect amount of foil. 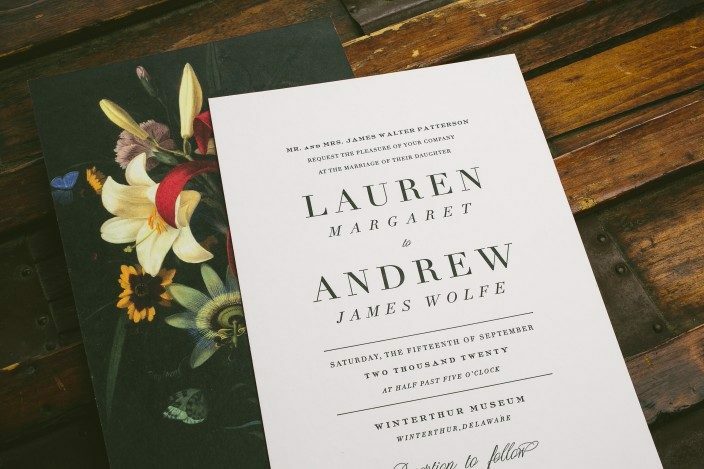 The suite pairs tawny matte foil with black letterpress printing on the wedding invitation and throughout the suite, which also includes a chic photo save the date. 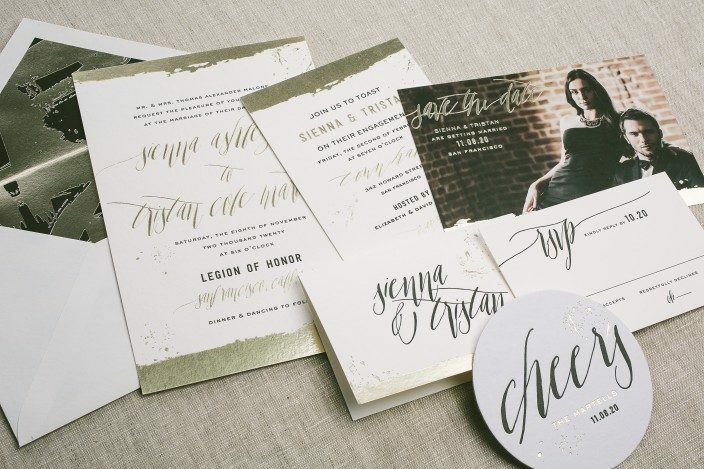 These new designs will be available on our website soon – be sure to check out our invitation gallery for even more inspiration!